Comix Connection Store Signing Dec 19th! 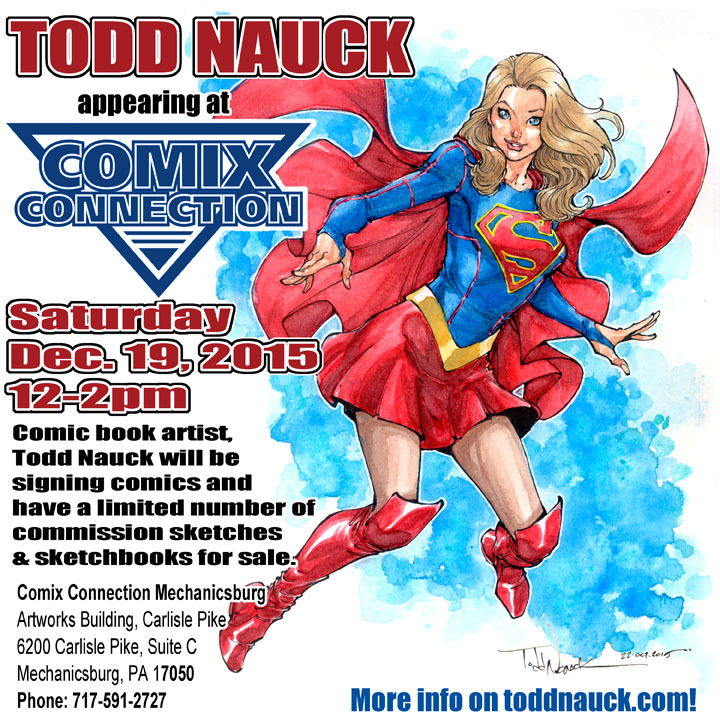 I’m doing an in-store appearance at Comix Connection in Mechanicsburg, PA, Sat Dec 19th, 12pm-2pm. I hope to do a few commission sketches as well, time permitting. I’ll also have my new full color Sketchbook: RED for sale. Due to the highly speculative nature of retailer variant cover comics, there will be a charge of $5 per comic for signatures on those comics. Click HERE for the full list of my variant cover comics.